There is this advert that runs on CNN about a meeting of global business leaders and in the advert they get someone up there in the business world to talk for about 1 min on the future of global business. One of them said that what will give the developed countries an edge over the developing countries is their knowledge driven economy. Anyone can replicate a manufacturing business and even do it cheaply, as we have seen China and India do. Anyone can improve on already existing business models. But the one thing that developing countries trail the developed ones at is in the use of their brain for something novel. Coming up with something entirely new. Being innovative. Being knowledge driven. Facebook began a project called internet.org aimed at making everyone, especially those in third world countries, have access to the internet. 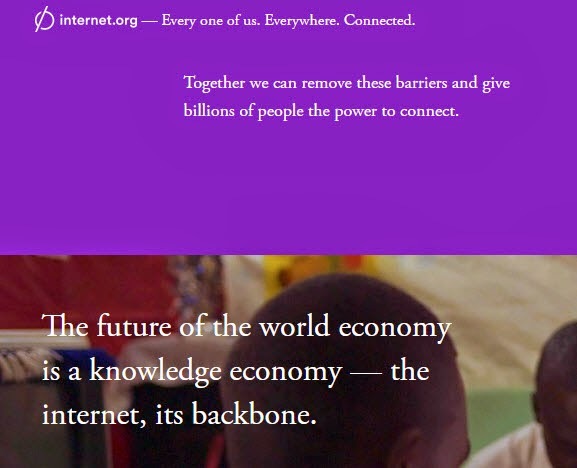 Their main claim is that the future of the world economy is a knowledge economy, and internet will be its backbone. This week The Economist did a special report on how it is becoming increasingly hard for the rags to riches story that characterized the lives of the men who built America to be replicated now. You can read it here: America’s new aristocracy. And its main point is knowledge is now playing a bigger than ever role in the path to wealth. The real asset is now intellectual capital. Knowledge is the new currency. Gone are the days when you could acquire wealth by being very hardworking, regardless of your educational background. Nowadays, if you are not lucky to have a parent who value education and are rich enough to start you bright and early, you have an extremely slim chance of working your way to wealth. Globally, we now live in a knowledge economy. What you know now matters extremely more than what you do with your hands. Wealth and power is increasingly shifting into the hands of the geeks, the entrepreneurial professors and the eggheads. People who use only their heads. As usual, Nigeria is still not reflective of global happenings. We are always slow to catch up. It was decades after the world began using ATMs that we caught up. Same with mobile phones. We are always late to the party. We may still have people who do not value knowledge dominating our economy for some time, but it won't be for long. As the world becomes smaller and closer through globalization, the new currency of knowledge will soon become widely accepted in Nigeria and those short of it will lose a lot.